Position @1.30 pm IST Friday. System pressures weakens to 993 mb and surface winds at 70 kmph. System moving west, slightly South. Heavy rains expected at Salem with gusty winds till tonite. 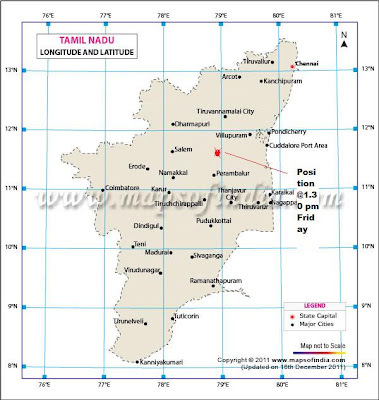 Cyclone "Thane " crosses land at 4.30 am on Friday at exacly 11.8 N and 79.7E, that is at Puducherry. 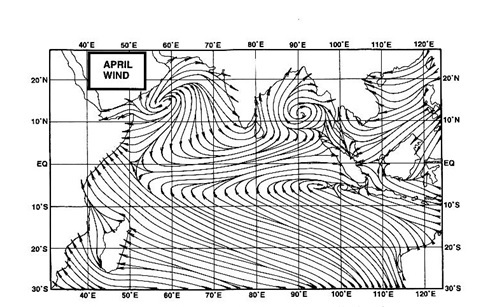 While crossing, it sustained core pressure at 983 mb, which weakened rapidly on hitting land. Currently at 8.30 am, centre of system 55 kms west of Cuddalore. Expected west movement with weakening. Overcast in Bangalore with cool Friday and intermittent rains. 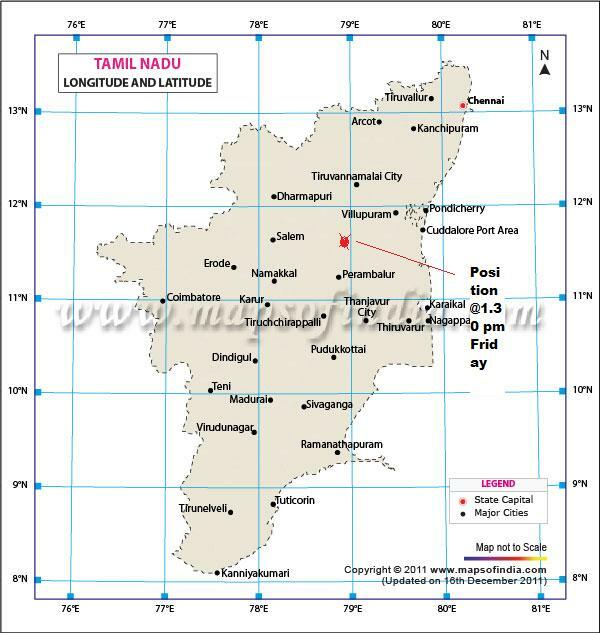 corrected error: System is west of Cuddalore, not east, error corrected. I dont think it will intensify anyfurther....and loose its intensity well before reaching Arabian sea.